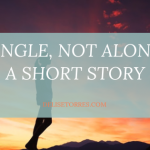 This is part of my ongoing series on surviving in Germany based on my own experiences. 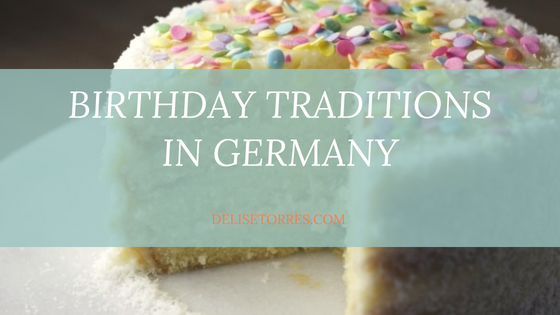 Just like every other country, Germany has it’s own birthday traditions. 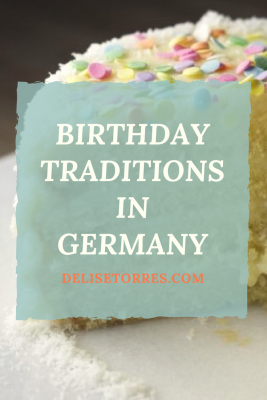 Here are 4 things that make birthdays in Germany unique. Never wish a happy birthday to someone before the actual date. Don’t give a present or, if you do, make sure to mention that they shouldn’t open it until the actual birthday. 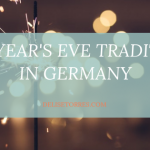 Should the birthday happen to be on a Sunday, many Germans celebrate the night before, and only when midnight arrives is it appropriate to offer congratulations and give the presents. Germans consider it immature to sing or blow candles. That is only done for children. Once you’re an adult, a handshake and congratulations will suffice. In the US, it can be common for coworkers to surprise someone on their birthday with a cake. NOT SO IN GERMANY!!! Here YOU are expected to bring a cake so that everyone gets the obvious hint that it’s your birthday. Birthday girl/boy places cake on a table in the office. “Yes, it’s my birthday,” says birthday girl/boy as if it’s not a big deal. “Oh then, happy birthday.” Coworker goes back to work. Sometimes, if you know your coworkers well, you can bring something hearty instead, such as bread rolls with Mett, or some sausages. Don’t forget to bring a cake even if your birthday was on a weekend. Co-workers always expect cake, and they will remember. A little bit off topic, but you are also expected to bring a cake or food when you start a new job or when you leave a company. And always remember, self-made is much more appreciated. But people love free food no matter their culture and they will eat anything offered. Parents can offer two parties: one for the members of the family and a children’s birthday party. Usually, the children’s birthday party includes only the child’s friends, no parents, as in you’re the one who has to take care of all those kids. I haven’t experienced this kind of party yet, since I just became a mom, so we’ll see what awaits me in the future. Candy and/or toys are placed on the floor with a pot covering them. A child is blindfolded and given a wooden spoon. He then must crawl through the floor in search of the pot. The other children yell “hot” or “cold” to help him look in the right direction. A chocolate bar, wrapped in several layers of paper, is placed in the middle of a table. The first player rolls the dice. When he gets a six, he must put on a hat, scarf, and gloves, and then try to unpack the chocolate bar with a fork and knife. He can continue trying until the next person rolls a six. The game continues in this way until the chocolate bar is eaten, also with a fork and knife.